The federal cabinet last week ordered the unannounced withdrawal on the recommendation of Foreign Affairs Minister John Baird, ahead of a major scientific meeting on the convention next month in Germany. The abrupt move caught the UN secretariat that administers the convention off guard, which was informed through a telephone call from The Canadian Press. The cabinet order "authorizes the Minister of Foreign Affairs to take the actions necessary to withdraw, on behalf of Canada, from the United Nations Convention to Combat Desertification, in those Countries Experiencing Severe Drought and/or Desertification, particularly in Africa." Canada signed the convention in 1994 and ratified it in 1995. Every UN nation —194 countries and the European Union — is currently a party to it. The UN body has a research committee dedicated to finding ways to stop the spread of droughts that lay waste to farmland across the planet, particularly Africa. Scientists, governments and civil society organizations are headed to Bonn next month "to carry out the first ever comprehensive cost-benefit analysis of desertification, land degradation and drought," says a notice from the United Nations Environment Program. "Also, for the very first time, governments will provide concrete data on the status of poverty and of land cover in the areas affected by desertification in their countries." 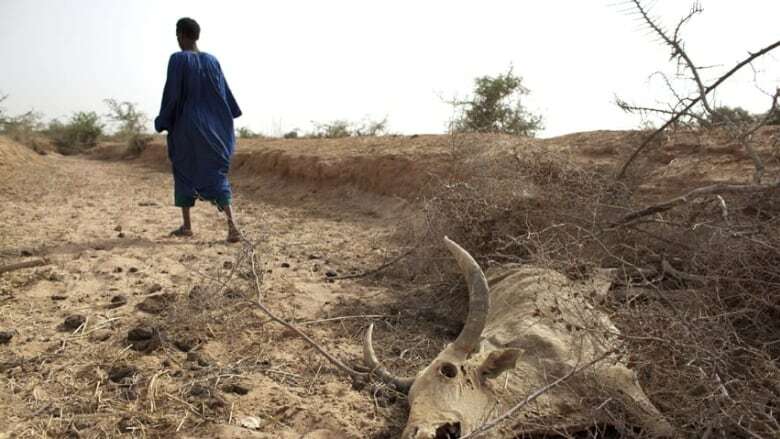 The issue of encroaching deserts has become urgent because of renewed droughts that have plunged millions into poverty in Africa's Sahel belt last year and in East Africa the year before. The Bonn-based secretariat for the UN body said no Canadian official had contacted them about the withdrawal. "We cannot comment on something that is not communicated officially to the secretariat or to the United Nations," said a spokeswoman, who added she planned to contact the secretariat's legal office for advice. Baird's office referred questions to the Canadian International Development Agency, which rejected a request for an interview. A spokesman for International Co-operation Minister Julian Fantino said in an emailed statement that "membership in this convention was costly for Canadians and showed few results, if any for the environment." Fantino's office refused to answer follow-up questions, including how much money was being saved by the move, and when Canada planned to notify the UN of its decision. Government documents show Canada provided a $283,000 grant to support the convention from 2010 to 2012. NDP foreign affairs critic Paul Dewar said the decision "shows ... that the government is clearly outside of what is international norms here. We're increasing our isolation by doing this." He also questioned why the government didn't announce the decision. "The questions are Why are we doing this? Who is behind this? And it would appear they just got caught doing this. They didn't make an announcement about this," said Dewar. "Was this something they were hoping no one would notice?" Maude Barlow of the Council of Canadians said drought is now "a life and death issue" for millions around the world. "Pulling out of these talks is simply the worst thing Canada could do and this is the worst time for the Canadian government to be pulling a stunt like this," Barlow said in an email. The decision could stoke more criticism of the Harper government's record on the environment. Canada, along with Japan, Russia and New Zealand, joined the United States in opting out of the Kyoto Protocol to reduce greenhouse-gas emissions. The government has also faced widespread criticism for muzzling scientists, leading to a recent complaint to the federal information commissioner to look into the matter. Its decision to cut the funding for the National Round Table on the Environment and the Economy has also sparked an outcry. Baird has suggested the closure of the think-tank was because the government did not want to pay for advice that did not fit with the government's general direction. The roundtable had warned repeatedly that the federal government would not be able to meet its targets for cutting greenhouse-gas emissions without putting a price on carbon, an idea the Conservatives vehemently oppose. "Desertification, along with climate change and the loss of biodiversity, were identified as the greatest challenges to sustainable development during the 1992 Rio Earth Summit," says the secretariat's description of the 1994 convention. It calls the convention the "sole legally binding international agreement linking environment and development to sustainable land management." Canada has also been an active participant in the convention, and has said it was in the country's national interest to be a party to it. The Canadian International Development Agency — soon to be merged into the Foreign Affairs Department — has administered Canada's participation and affirmed that fact in an undated, 40-page report, titled "Canada's First Report on Domestic Activities Relevant to the United Nations Convention to Combat Desertification." The report says that Canada is an "Affected Party" under the treaty because of "the existence of drylands in the Canadian prairies." The convention, the report states, requires Canada "to ensure that desertification issues are integrated into its national sustainable development plans and policies." The convention also obliges its parties "to report on activities undertaken to address the problem," says the CIDA report. "Our status as Party to this Convention is in our national interest because this Convention (and related issues like biodiversity), and the global thinking which is emanating from it, will benefit our own vision and approach of how we address our own, and the world's drylands," the report concluded. In a May 2008 speech to the United Nations Commission on Sustainable Development, Canada's representative said in a prepared text that "Canada has been a strong supporter" of the convention. The text said that "Canada applauds" the efforts of the convention's executive secretary "to elevate the profile of desertification as a key environment and development issue, and will continue to support activities to combat desertification, land degradation and drought" in keeping with the goals of the convention.